Getting rid of fleas & effective flea treatments in Epsom. - Welcome to NMT Pest Control. We control bed bugs, moths, wasps, mice, mouse proofing, cockroaches, ants, flies, spiders and other unwelcome visitors. Flea Treatment Epsom - Flea Control Epsom- Flea removal Epsom- Getting Rid of Cat & Dog fleas Epsom. 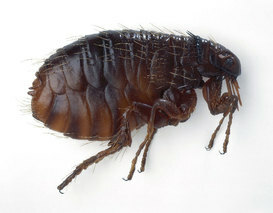 Flea Control Epsom:The distress caused when bites are discovered on ourselves or on our children can be considerable. Thankfully effective treatments are at hand in Epsom to deal with the problem, quickly and effectively. To book a Flea treatment or for any more information please call Neil on 01403 390074 today!